Dri-FIT Technology helps keep you dry and comfortable. Gripper waistband provides secure comfort. Tapered design helps reduce distractions. Side zip pockets. Fabric: Body: 91% polyester/9% spandex. Pocket bags: 100% polyester. 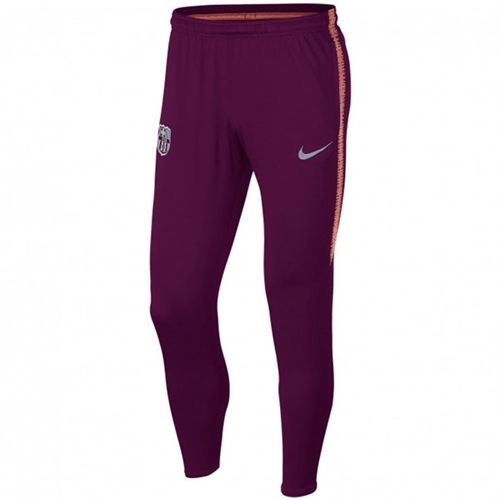 Our Nike Barcelona Squad Tech Pant are designed with sweat-wicking fabric in a tapered profile to help keep you dry, comfortable and focused on the field.